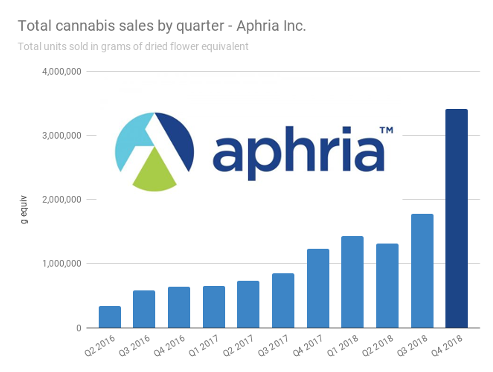 All eyes were on Aphria Inc. (TSX:APHA)(NYSE:APHA) Friday, as the best soap opera in the pot world arrived at the much-anticipated culmination of its latest high-drama plot arc, and payed it off in epic fashion. Aphria’s final quarter of the calendar year ends in November, giving them a one month head start on their peers at earnings time. The investment world is looking at APHA for a sense of what each of those companies’ final quarters of sweet, sweet growth are supposed to look like at this stage of the market’s maturity. APHA closed Friday at $9.18, up $0.47 (+5.4%) on 28.7 million shares of volume. That’s still $1.42 off the $10.60 close the day before a short seller attack slammed the Leamington, ON-based cultivator on a tumble to a 52 week low of $5.00. That’s the biggest unit sales quarter of any legal cannabis company ever, and it isn’t even close. Aurora Cannabis (TSX:ACB)(NYSE:ACB) moved 2.6 million grams last quarter, and we have our doubts about whether or not they grew it all themselves. Aphria leaves no such doubt. Upcoming Aurora and Canopy Growth Corp. (TSX:WEED)(NYSE:CGC) earnings may beat that number, but Aphria just set the pace for the legal rec era. Those sales amounted to a gross profit from operations of $10.1 million. Add in some trading gains, they netted $54.9 million or $0.22/share. That doesn’t seem like much (because it isn’t much), but if you’re looking for a story about income equities, head over to CNBC or something. The overstuffed gardeners in this sector are growth equities, and Aphria knows exactly what it is. Regular readers know that we consider unit sales an important metric, because it’s the acid test for whether or not these very new businesses can do what they’re built to do. 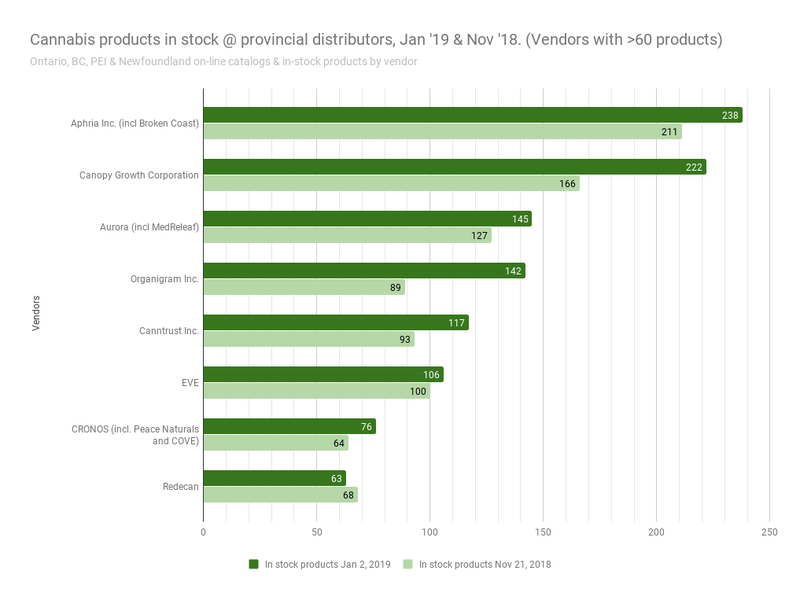 The 3.4 million gram equivalents sold included 1.9 million grams that were sold to retail, adult users through the distribution centers run through the provinces in a quarter that was only exposed to 9-10 weeks of retail sales. Outgoing (?) CEO Vic Neufeld, in a virtuoso earnings call performance, said that the company hasn’t seen any cannibalization of their medical sales from the rec market quite yet. 1.9 million grams of sales to rec users puts their medical sales around 1.5 million grams, which is in line with the 1.43 million grams in medical sales APHA averaged for the past four quarters. APHA affirmed the industry-wide outlook on product growth, telling analysts they were excited about being able to offer edibles and vaping products. They stressed that the flower-heavy product mix wouldn’t last. The company is seeking licensing for a processing facility in Leamington, and has great expectations for “cannabis as an ingredient.” A sanctioning of edible products by Health Canada is planned for later this year. No word on if it’ll happen before or after they address the licensing bottleneck. HC is seeking feedback from stakeholders on the roll out of extracts, edibles and topicals, provided they get it before Feb 20th. 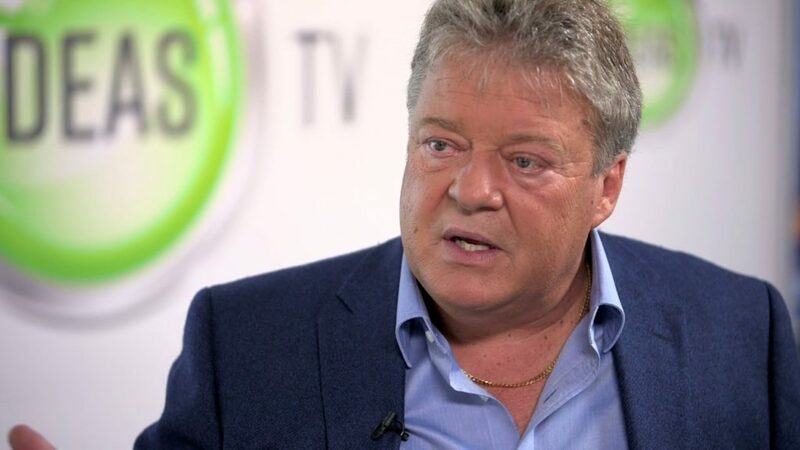 As provincial dispensaries struggle to stock enough product to keep up with demand, Aphria told the world that it’s the slow, slow, slow wheels of Canada’s licensing process that is to blame for the supply choke. So far, Health Canada has licensed less then a third of APHA’s flagship 1.1 million square foot Aphria One facility in Leamington, ON, and have yet to license the 1.3 million square foot expansion facility (Aphria Diamond). The Broken Coast facility in Duncan, BC is fully licensed, but measures only 4,500 square feet. Management told us on the call that a planned expansion at Broken Coast is on hold as they re-consider the wisdom of building vertically at the site they have. Aphria’s MD&A outlines the intention to scale into nearly 3 million square feet of total production & processing space. This seems prudent considering a documented licensing bottleneck. Health Canada’s Director of Licensing and Security, Joanne Garrah, acknowledged on a panel at the Lift & Co. business conference yesterday that the licensing isn’t going quick enough for anyone. She didn’t offer any indication that her department had any way to speed it up, either, stressing that this is new to everyone, and her team is doing their best. Thanks to Lift & Co. (TSX.V:LIFT) for setting FH up with press credentials. If you’re in Vancouver, this year’s Lift cannabis expo is on through Sunday. Health Canada director Joanne Garrah, second from left, shown here addressing adoring fans, each wanting to know when she’s going to get around to approving a different, specific license. For now, it’s safe for these LPs to blame supply shortages on a licensing bottleneck, and we’re going to have to wait a while to answer the hundred billion dollar question: can these out fits scale? Aphria’s tone on the call was as aggressive as their projections. They’ve promised a company that can produce 225,000 kgs 255,000 kgs of weed a year by the end of 2019. That’s a 75% scale up from the 3,400 kgs they produced last quarter, and the outgoing (?) CEO was practically pounding the table as he dropped that number on the earnings call. Anybody still trying to grasp the nature of these valuations should consider this aggressive outlook. Never mind price to earnings or price to sales. These companies are valued as a reflection of the possibility that they can become a factory that grows $2 billion a year in wholesale value on trees, multiplied by the lift it would get from vertical integration and product diversity. Such a feat takes a special kind of organization, and Friday morning’s call featured a board of directors who were mad at having been beat up for the crime of building one. The MD&A discloses six (6!) class action lawsuits filed or to-be-filed against APHA with respect to the short attack, four in the US and 2 in Canada. Hard to make anything serious out of those at this early stage. It’s the sort of thing opportunistic lawyers start, and carry on if it’s worth the time. We’re not going to rate these yet. For an executive supposedly being forced to resign, Neufeld sure stepped into that call with his dukes up. To say Neufeld was speaking with confidence would be under-selling it. This was a man who knew his business, was in the process of making it perform exceptionally, and couldn’t wait to talk to anyone who wanted to accuse him of doing anything else. The company apparently earned $1.1M in revenue during the period from two months of operating ABP, SA (the Argentinian component of the LATAM assets whose valuation and pre-deal ownership is at issue), and Neufeld let that tidbit fly on the call like it was an overhand right. The MD&A has it down as non-cannabis revenue, and the rest of the data from that unit that we would need to give it context aren’t broken out, but that didn’t matter. This thing was already earning! SO THERE! It’s common for these cash-rich big pot co’s to take strategic equity positions in smaller operators. APHA has laundry-list of positions in various cannabis and cannabis-related equities that surprises nobody. Big Weed is expected to act a bit like a strategic investment product on their way to becoming drug giants. It gives them a head start on acquisitions that make strategic sense, and they can always sell the gainers they don’t need to pay for the losers they don’t want. At the moment, the hot issue in pot equities is the US operators carving up the 330 million person market that TSX and NYSE listed companies like Aphria and their peers aren’t allowed to have interest in, as per exchange rules. That makes US strategies hard to come up with. Aurora Cannabis doesn’t have one so far. Canopy’s has to do with relationships with US labs that happen under DEA approval. Tilray has something similar. But Aphria isn’t really one for symbolism. This period, APHA took everything they had that even smelled like an investment in a US cannabis co, rolled it up with a $17 million cash commitment, and transferred it to an independently managed fund in exchange for a promissory note bearing 12% interest. 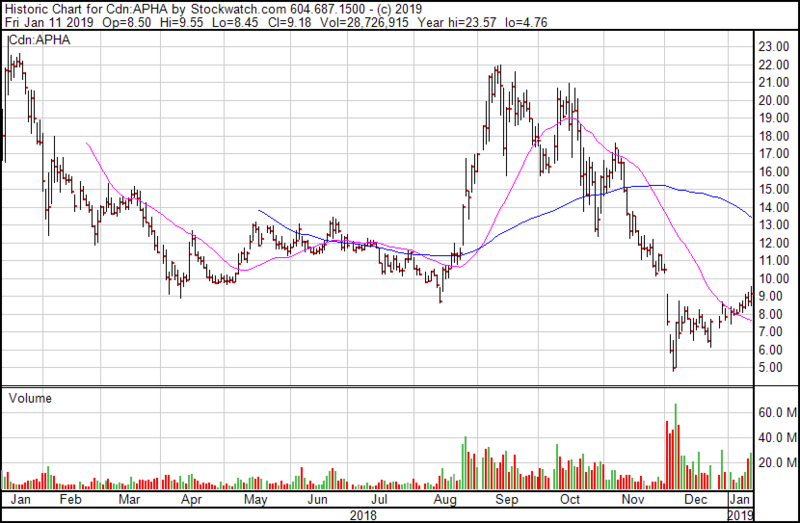 The deal gives APHA a 5 year option to buy those same assets back for the value of the note, at such a time that it becomes legal for the company to own them (and the exchanges they’re listed on allow it). This gives shareholders exposure to the US market by proxy, and gives APHA the right to buy back companies that end up being operational fits as soon as they’re allowed. The asset package includes what’s left of their position in Liberty Health Science (CSE:LHS), which they’ve technically just sold to net $47 million, but retain an effective call on for $52 million or so. This is the first such structured arrangement we’re aware of. It remains to be seen if it’s a good head-start into the US market, but it’s certainly exposure that their peers don’t have. Vic Neufeld didn’t come across on that earnings call like a CEO who had built a steady, operating machine, and was ok with handing the keys to someone who would take care of it. He was more like a man stepping off of a supercharged track bike of his own design, because everyone keeps telling him that the way he’s racing it through traffic is making the sponsors look bad. The street wanted a management change, and he knows better than to fight the tide. So far, Vic Neufeld’s resignation, much like GGB’s “hostile bid,” is only an announcement. At the end of the of the $APHA call, Vic Neufeld said he & his team are leaving b/c “it’s time,” have set a departure time of “eventually,” and there is no succession plan in place. Will Vic pull a Jordan Belfort? Read the full text of APHA’s financial statements here, and their MD&A here. CORRECTION: This post originally reported that CFO Carl Merton had planned to leave Aphria with Neufeld, but has been corrected to reflect the fact that Cole Cacciavillani is the executive who plans to leave. Thanks to James in the comments for the heads up. FURTHER CORRECTION: We had Aphria’s projected capacity at 225k kgs/yr. It’s since been corrected to report the actual company projection of 255k kgs/yr. Thanks again to the comments, who never miss a thing. Carl isn’t leaving. It’s Cole. Thank you. We’ve corrected the error. Y’all never let up, do you? Sincere thanks. We’ve corrected the error.